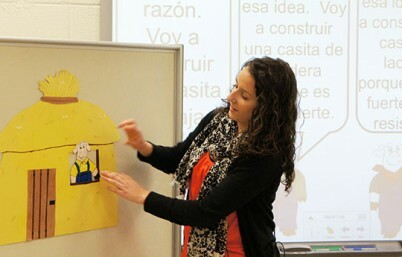 Students in the Foreign Language Education study theories of second language acquisition and connect these theories to practical classroom applications. With both undergraduate and graduate programs, the Foreign Language program is a leader in teaching future and current educators. As an outstanding distance program, lead by faculty with over 25 years experience, this program has students from many different areas of the country. Contact us for more information!